It is great to see that the curriculum is well and truly back on the education agenda in England. And this is taking place at the same time that many teachers are re-affirming the importance of knowledge. Gone are the days when we talk about generic problem solving or thinking skills. Instead, we know solving problems requires domain specific knowledge that can’t be transferred easily; that’s why as a biologist I can solve problems in phylogenetics but I can’t solve problems in pyrotechnics. So what knowledge should the science curriculum contain? Well, there is the substantive knowledge (Schwab, 1964), that is the knowledge produced by science and involves concepts which form the underpinning structure of the subject e.g. respiration, evolution and the idea of a force. The list of substantive knowledge for science is well, substantial, and beyond the scope of this short note, but probably should aim to create big idea thinking in the fundamental areas of biology, chemistry and physics. We need to frequently practice retrieving the knowledge that builds these concepts, or else we forget them, so low stakes cumulative quizzing needs to be peppered throughout the curriculum. Knowledge must be carefully sequenced overtime because of the hierarchical nature of science, starting with the concrete and moving to the abstract is helpful, both within a lesson and wider curriculum. For example, it doesn’t make sense to learn about ions until you understand substances, atomic structure and charge. It is more complex when you think about ordering seemingly separate but related ideas – should we teach particles before cells or cells before particles and does it even matter?! Substantive knowledge connected to more substantive knowledge creates understanding. Relate this knowledge to what you already know and you will create meaning (or misconceptions!) – the Holy Grail. This means that related prior knowledge must be re-visited in the curriculum before introducing new ideas and misconceptions should be actively diagnosed. 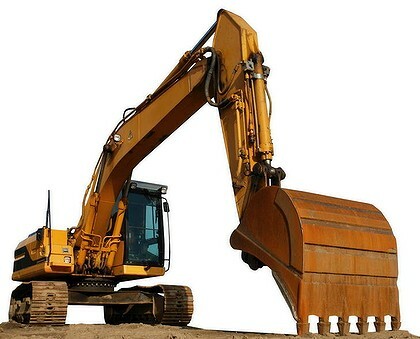 I find it helpful here to imagine a digger arm, reaching back over the curriculum and scooping forward all relevant ideas that should have been learnt to date. This scoop should then be the starting point. But all this re-visiting takes time and so a big part of curriculum design is about deciding what not to teach: I’m not brave enough to suggest what these concepts are! And then there are important decisions to be made about assessment, because not all substantive knowledge is equally important. Particle model for example should be assessed in preference to sublimation. Why? Because the particle model is a gateway to understanding many more concepts (e.g.Yr8 conduction/convection, Yr9 osmosis, Yr10 rates of reaction) and so must be understood. Sublimation, whilst interesting, is quite a peculiar idea that has little explanatory power beyond state changes to iodine and carbon dioxide. Then there is the knowledge about the discipline. This is the knowledge scientists need so they can collect, understand and evaluate scientific evidence – it’s the scientific method i.e. changing one variable whilst keeping everything else the same and seeing what happens. We use this knowledge everyday – think back to when your TV remote last stopped working. You first banged it, then wiped the sensor and finally changed the battery. Each time you changed one variable (the independent variable) before measuring its effect (the dependent variable) whilst keeping everything else the same (the control variables); you see, science is useful! Teaching this disciplinary knowledge is hard as ideas of the discipline can often become lost when students struggle to simultaneously grasp substantive knowledge. At the same time, it’s difficult to identify control variables during an investigation into photosynthesis, if you don’t understand the reaction itself. Get this delicate balance right, between substantive and disciplinary knowledge, and science teaching and learning becomes a whole lot easier and fun. You can do this through the curriculum by articulating exactly what aspect of the discipline you are learning and positioning it in the best context e.g. term one variables taught through diffusion, term two teach validity though measuring heart rate and exercise and in term three evaluate the method used to measure energy transferred by fuels.